hosted by the Craft Beer Ambassador Ryan (Lofty) Loft from White Rabbit Barrel Hall. 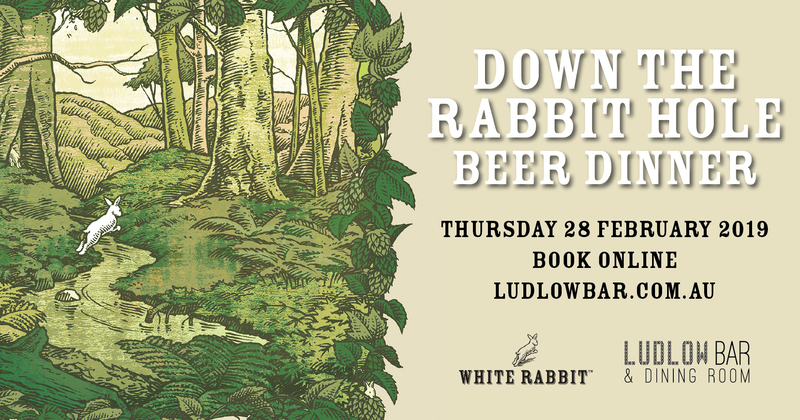 with a selection of White Rabbit beers. 6.30pm arrival for canapes, sit down to dinner at 7pm. $69 per person + booking fee.